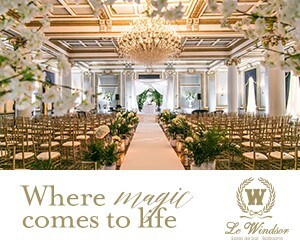 Evangelia and George’s white and gold wedding at Le Chateau Royal was an absolute fantasy. 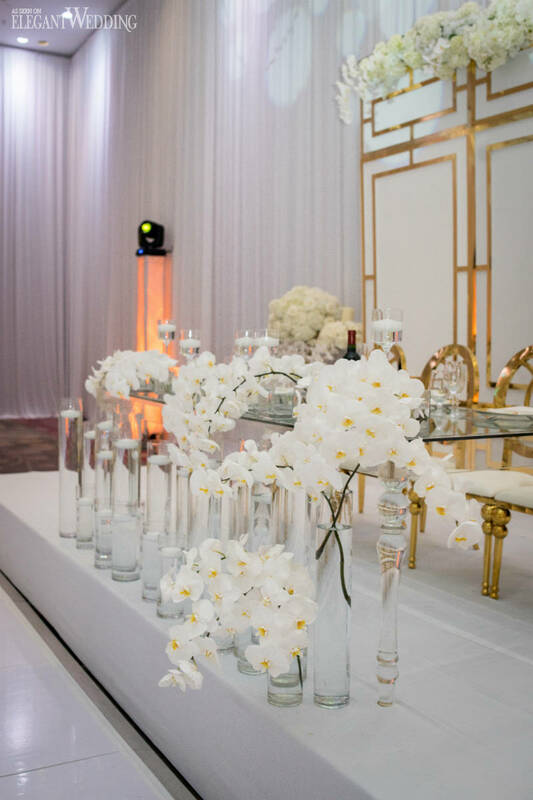 Everywhere one looked there was something to admire: gold seating for all the guests, tall white centrepieces, a monogrammed dance floor and the couple’s stand out head table featuring a plethora of floating candles and spilling white orchids. Coupled with the metallic gold backdrop and six-tier cake, the celebration was a monochromatic dream we won’t soon forget.